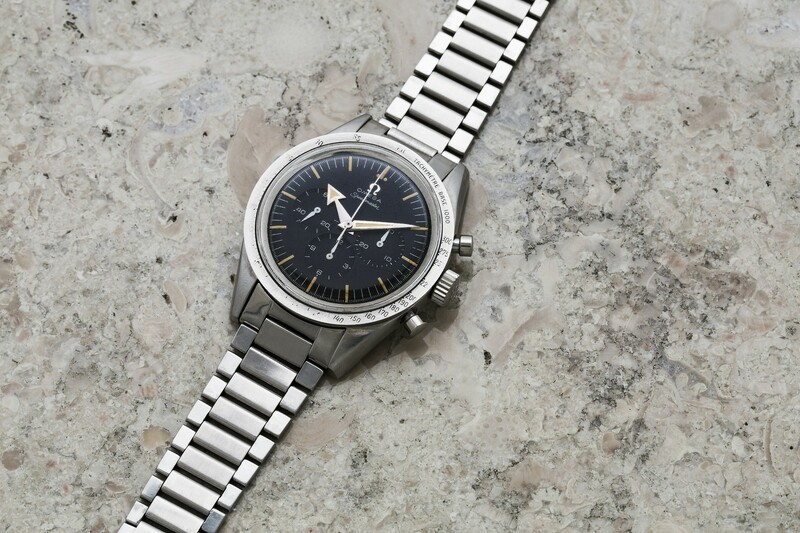 A rare and very early OMEGA Speedmaster chronograph has been sold at Bukowskis Auction House in Stockholm for a price equivalent to $275,508 US dollars. This marks a new World Record for this particular Speedmaster model. The stainless steel chronograph, with reference CK 2915-1, is a first generation Speedmaster from 1958 and is identified by its famous design, including a black dial with Broad Arrow hands, tachymeter scale on the bezel and sought-after calibre 321. For collectors, what really made this opportunity unique was the original condition of the watch. For example, the unpolished case and original dial, makes it is one of the rarest CK 2915-1 models seen at auction, and certainly one of the most desired. The chronograph was found by the owner’s son in a box in the attic of their family home. When it went up for auction, the final price reached 2,226,250 Swedish Kroner, equivalent to around $275,508 US dollars. 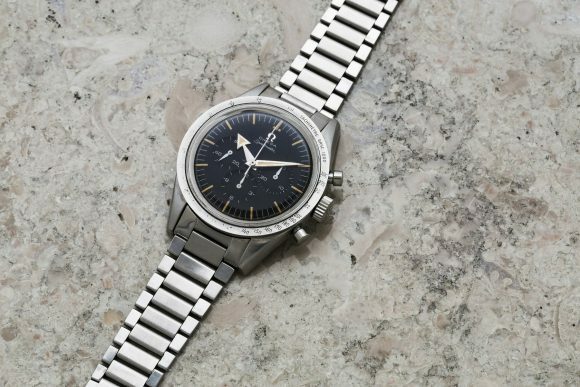 This year, OMEGA celebrated the 60th anniversary of its iconic Speedmaster, making this purchase a very timely event. This entry was posted in Press Release, Speedmaster Professional and tagged CK2915 on October 26, 2017 by Dale Vito.